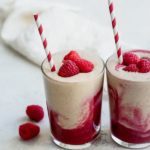 This peanut butter and jelly smoothie is made with layered of “jelly” smoothie and “peanut butter” smoothie for a delicious and filling breakfast and snack. 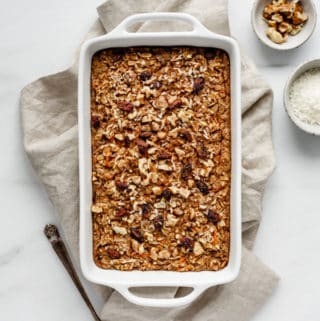 It’s also healthy, vegan and naturally refined-sugar free! I still constantly indulge in some peanut butter and homemade jam on fresh bread, toast, pita, crackers, tortillas…basically any carb base I can find to put it on. 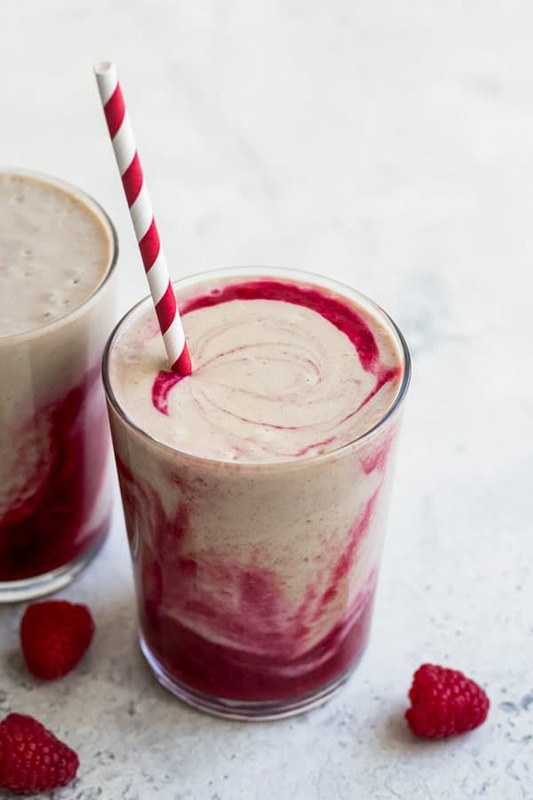 Well, now I can ditch the bread since with this peanut butter and jelly smoothie! There’s something that’s just so yummy about the combination, and I think we all get a little nostalgic when we eat it. 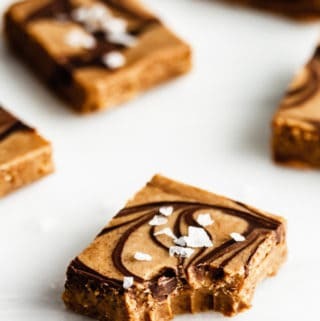 I love creating recipes with peanut butter in them. I’m a total peanut butter nut! (your welcome for that pun.) I love using peanut butter in both sweet and savory recipes. I’m talking peanut butter noodles, peanut butter cookies, and peanut butter tarts. I also love adding peanut butter (or any nut butter) to my smoothies. 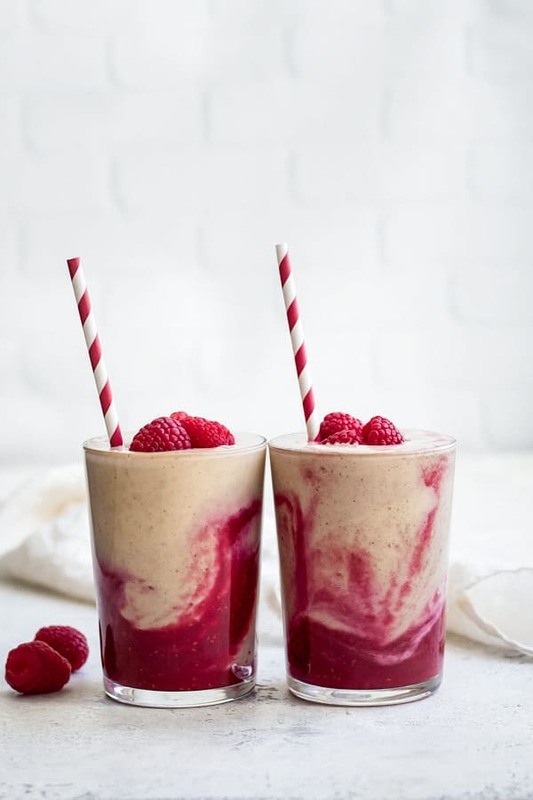 Adding nut butter to your smoothies is a great way to make them more filling, and add some extra protein and healthy fats, that will keep you full. 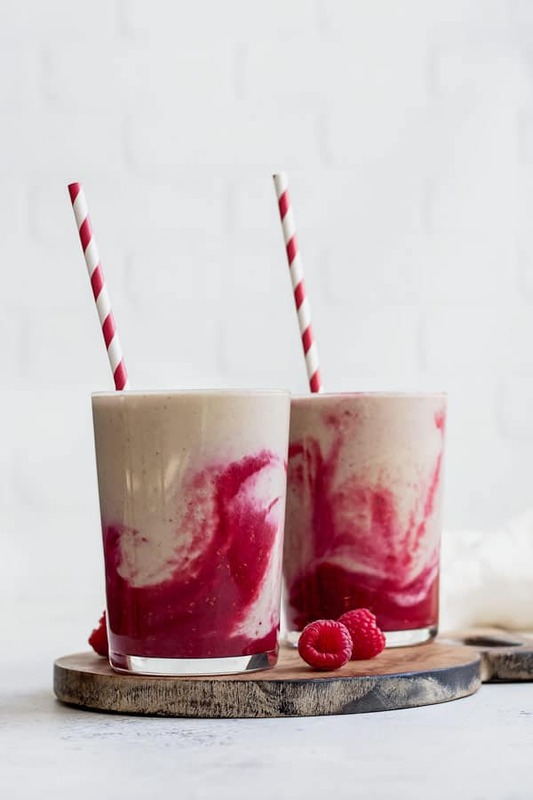 The jelly part of the smoothie is made with frozen raspberries, but if you prefer strawberries for you “jelly” you can use them instead. A filling breakfast smoothie loaded with fresh fruit and peanut butter! 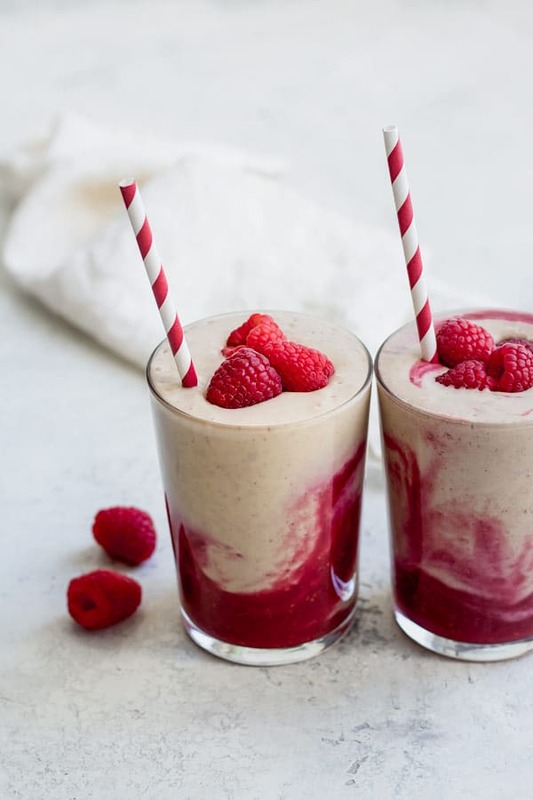 Blend the raspberries, orange juice, and water together in a high-speed blender. Pour the mixture evenly between two glasses. Rinse out the blender, then blend the peanut butter, bananas, Medjool dates, chia seeds, and almond together until smooth. Pour ontop the raspberry layer. Use a spoon or a straw to swirl the smoothie together. Depending on how big the bananas are, you may need to add a little more or a little less liquid to get a consistency you like. If using fresh fruit, add some ice cubes to make the mixture thicker. For a veggie-packed smoothie, replace the banana with frozen cauliflower. If you like this recipe you’ll also love these peanut butter and jelly chia parfaits! Thanks Ela! PB & J is one of my favourite combinations ever! This smoothie is seriously delicious! 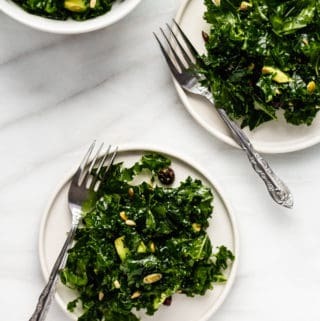 I made it for lunch today and I am satisfied – both by the taste and in the fact that my hunger is satiated – and full of energy! I used powdered peanut butter instead of the real thing so that it was a little lower in fat, but next time I will use creamy peanut butter and the “cauliflower-for-banana” swap. 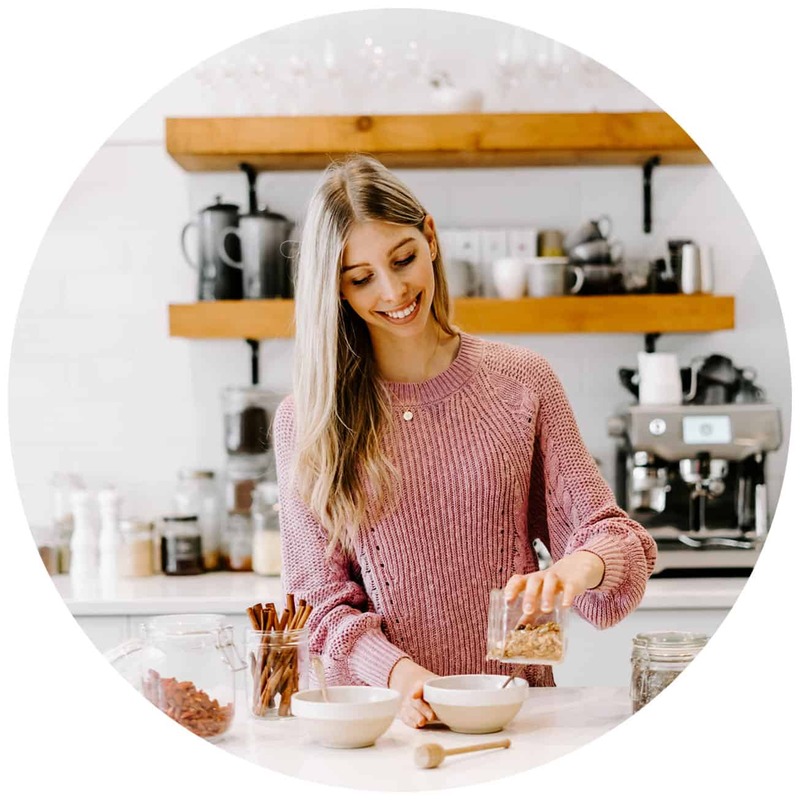 THANK YOU, Jess, for conceiving vegetarian and vegan recipes that are easy to make and appeal even to meat eaters! 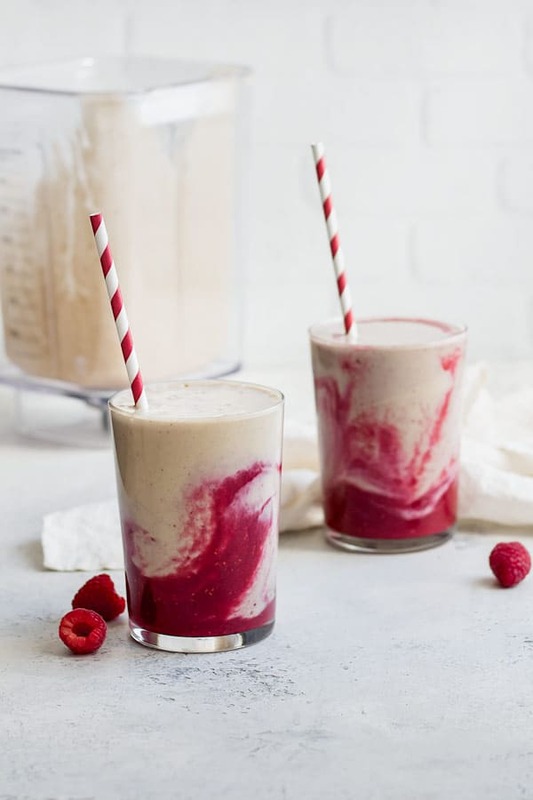 Oh my, this peanut butter and jelly smoothie looks gorgeous! I love the raspberry swirls in the peanut butter banana base. It probably tastes so sweet, nutty, tarty, and decadent!